Hello Coinformant.com investors! Today we are happy to share that we have added a new ICO calendar to our website. 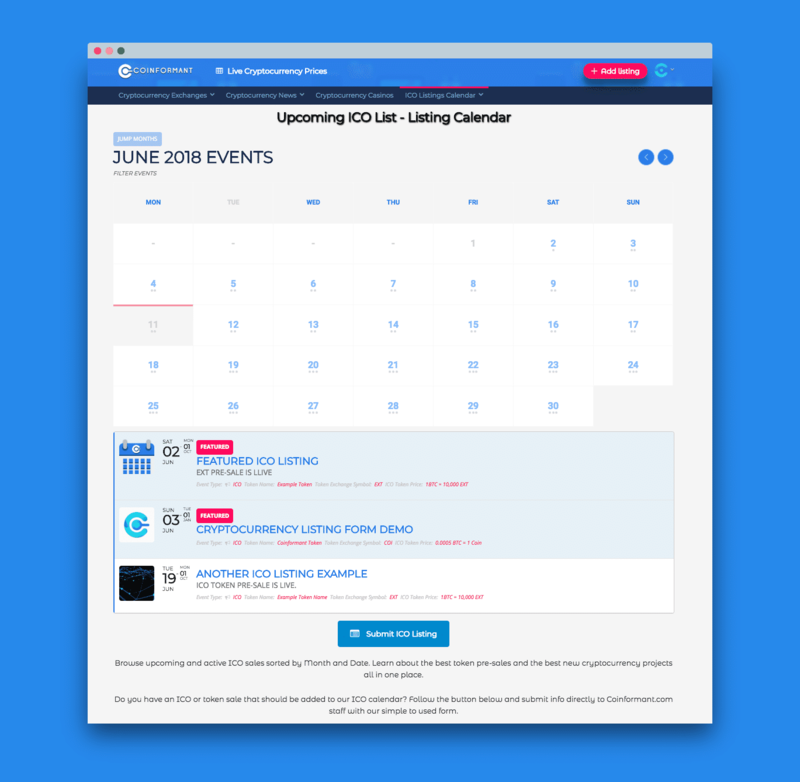 This ICO Calendar feature will help investors stay updated to all things ICO and Token Pre-Sales. We are currently offering free listings to help build the ICO community on Coinformant.com. Do you have a ICO or blockchain project that has a token pre-sale that is upcoming or currently on-going? Head on over to our easy to use ICO Listing Submission form and submit the project details instantly.